All mesurements are approximate. Can vary within an .5 to 1 inch. 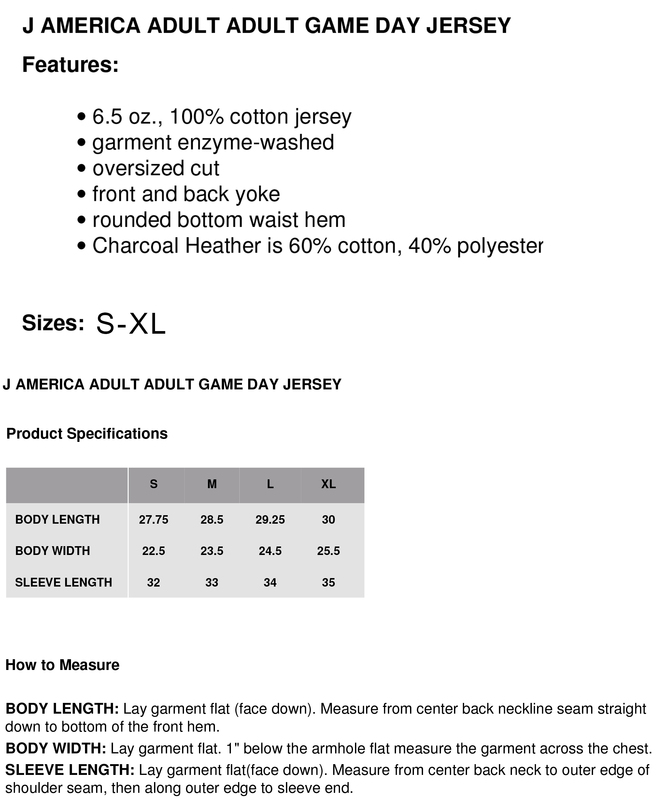 Click the button below to add the Life's An Ocean Just Keep Swimming (2019)~ J.America Unisex Game Day Jersey to your wish list.